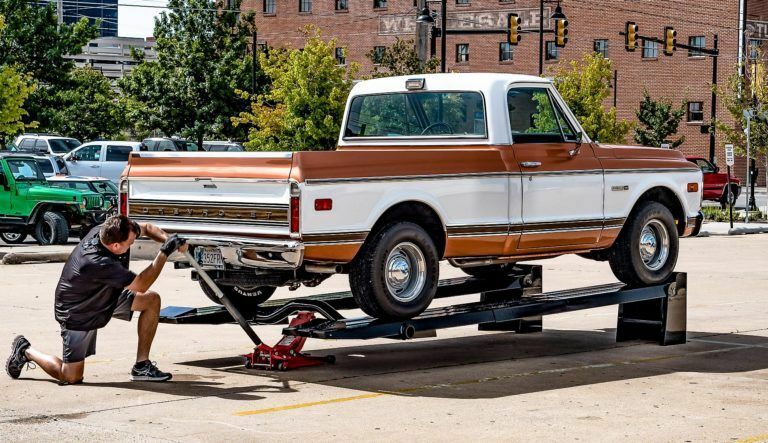 The Premium Kwik-Lift Package is an upgrade over our standard package, with two Centerlift bridges and a full set of casters. 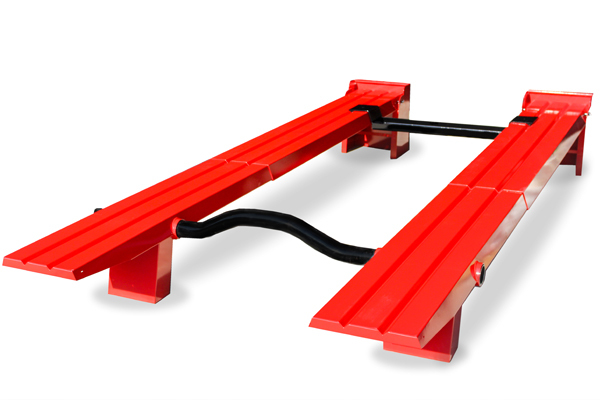 With two Centerlift bridges, it's easy to remove all four wheels while your vehicle is on the lift. 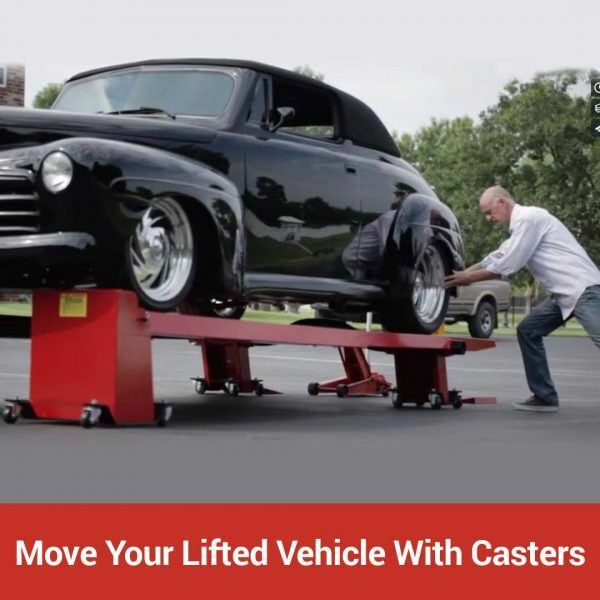 With a full set of casters, it's easy to move the ramps and your vehicle around while it's in the air. This package is our best value. I put off purchasing a Kwik-Lift for several years. My mistake. If you buy a Kwik-Lift, go ahead and get the caster set at the same time. 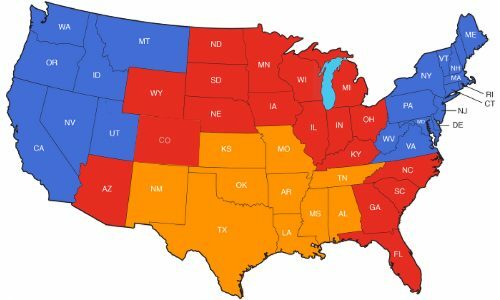 I am able to push my 1955 Chevy against a corner wall to maximize space for winter storage. During the summer, I park on it. The Kwik-Lift suits my needs perfectly. I can work under the cars and be able to extend my arms for comfort and leverage. I’m very happy with this piece of equipment so I don’t have to use jack stands. My red ’32 looks great on your red car lift. 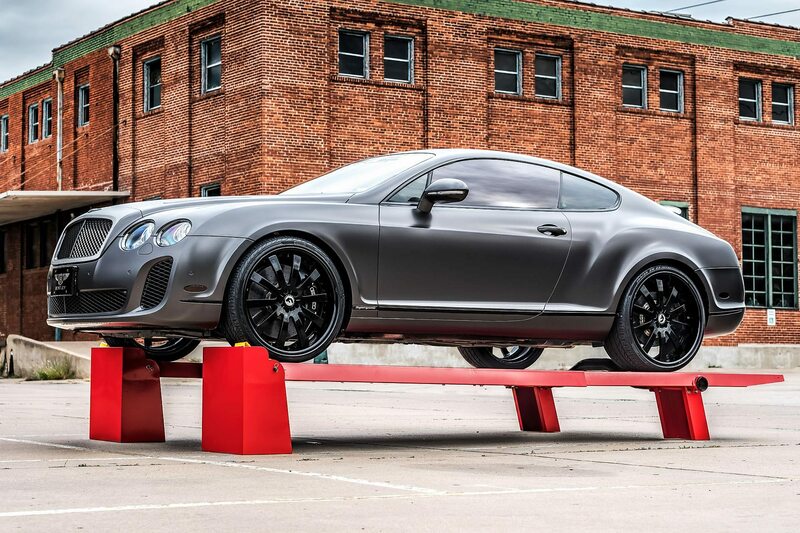 Kwik-Lift is the perfect height to work on my car. I absolutely LOVE my Kwik-Lift! I don’t know how I ever survived before I got this unit. 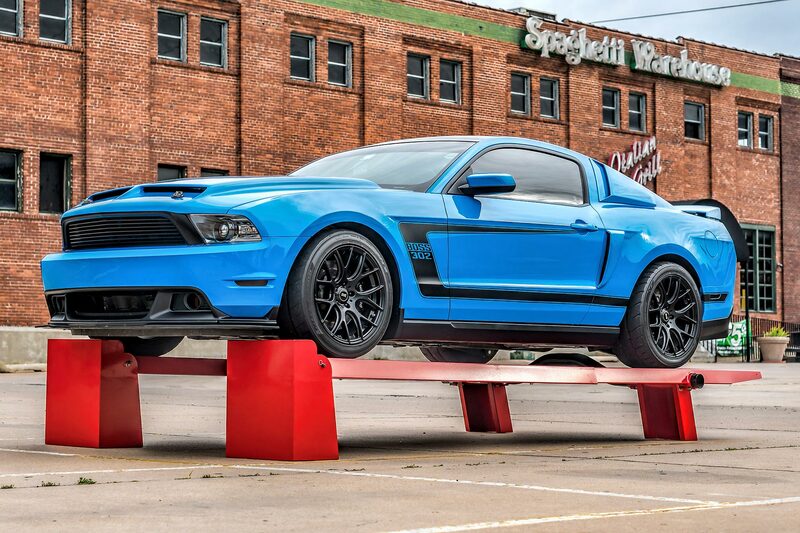 Attempting to work on jack stands is a distant memory. 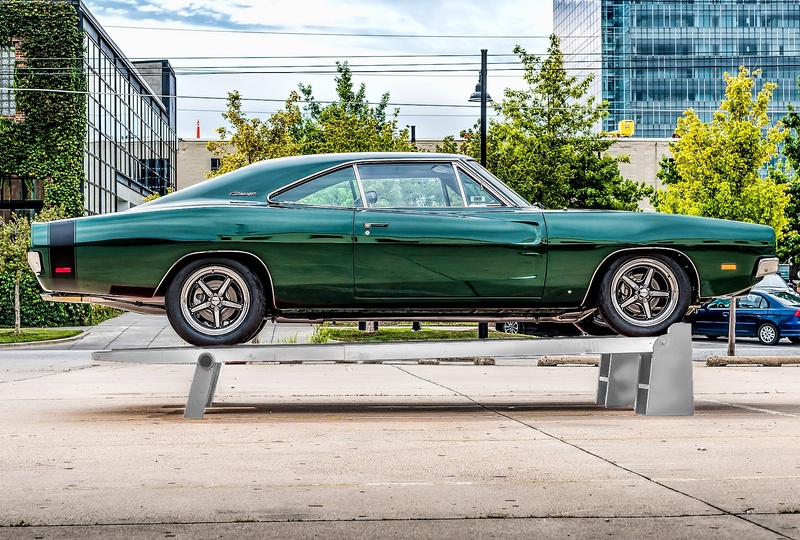 Kwik-Lift is a well built, sturdy and safe way to work on vehicles without needing a tall garage ceiling, power to operate a lift or bolting anything to the floor. 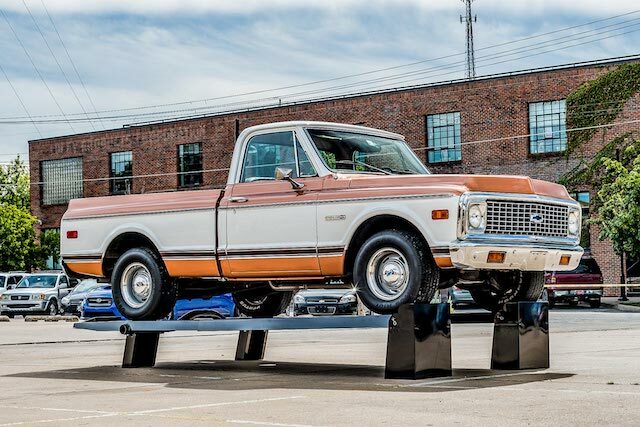 I have done every kind of job with my Kwik-Lift including clutches and transmissions with no problem. 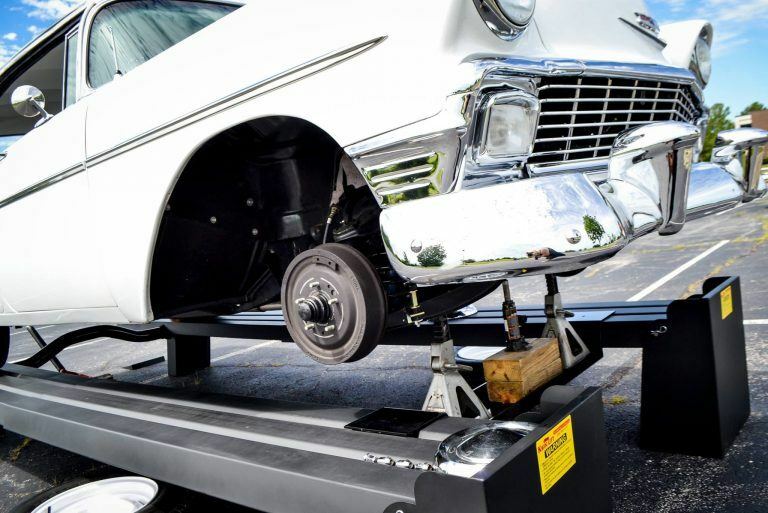 Kwik-Lift can handle it! People probably get tired of hearing me brag about my Kwik-Lift.